Special Thanks to Michael Guerrero for sending this photograph to Retiree News. His comments in the email. 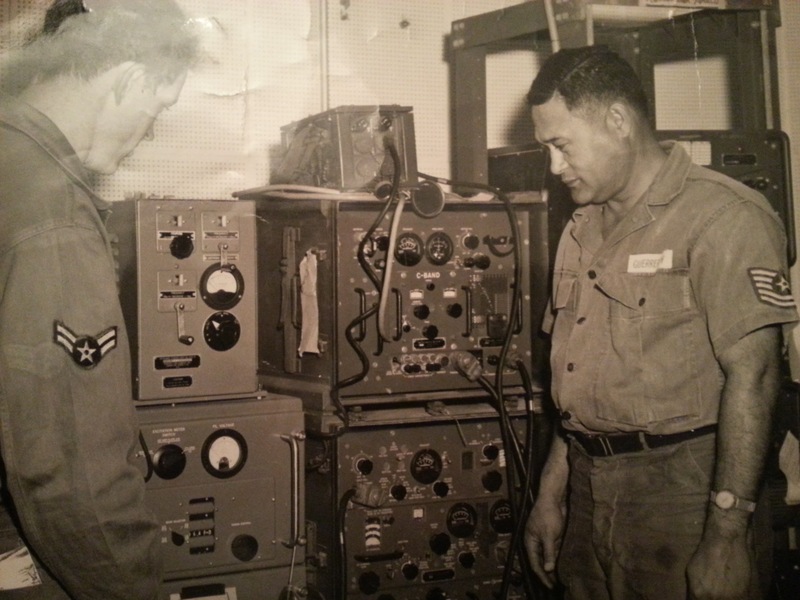 “My grandpa Technical Sergeant Howard Guerrero radar Radar shop, Hawaii Air National Guard.” The other airman in the photograph is unidentified. Because his fatigue uniform has a white name tag, this photograph was taken in the late 1950s or the early 1960s. The Air Force was transitioning from the 1515 uniforms which were fatigue uniforms styled like aircrew flight suits. Michael send another photograph which we will post next week.